When will be Samurai Gourmet next episode air date? Is Samurai Gourmet renewed or cancelled? Where to countdown Samurai Gourmet air dates? Is Samurai Gourmet worth watching? Kasumi Takeshi has just retired and is quietly getting into his second life. He never had the luxury of a beer during the day on a weekday during his 35 years as a salaryman. But in that instant Kasumi gets acquainted with the taste of that one glass and eating alone. This is the start of his battle with eating by himself. It is an unexpectedly high hurdle for Kasumi to cross and one that he keeps fretting over. 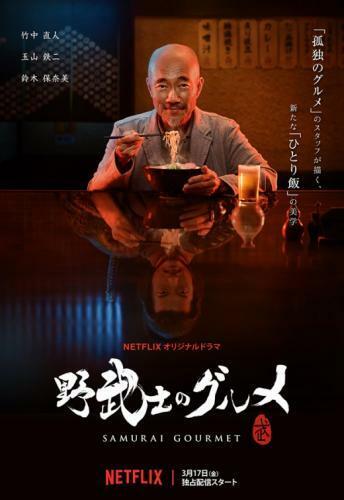 Samurai Gourmet next episode air date provides TVMaze for you. EpisoDate.com is your TV show guide to Countdown Samurai Gourmet Episode Air Dates and to stay in touch with Samurai Gourmet next episode Air Date and your others favorite TV Shows. Add the shows you like to a "Watchlist" and let the site take it from there.